1) Big news in Uptown Oakland: Ozumo Oakland (2251 Broadway), perhaps the city’s quintessential power lunch spot, closed last week after eight years of business, Inside Scoop reports. 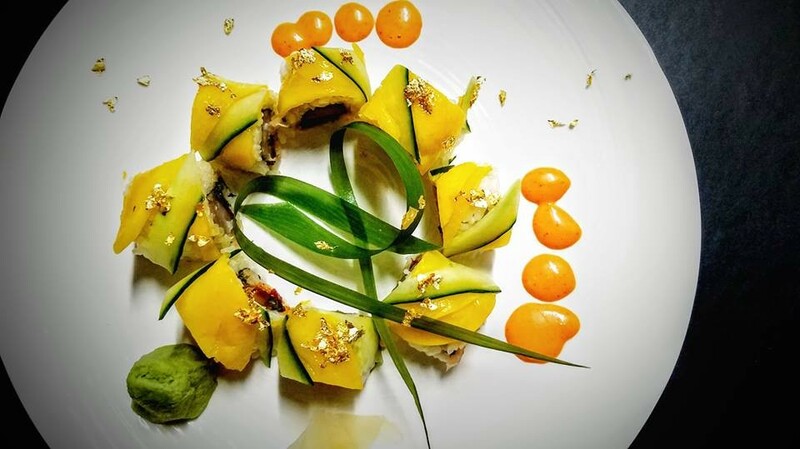 Along with neighboring Pican, the ritzy sushi restaurant was one of the first ambitious upscale dining establishments to set up shop in Uptown — a precursor to the neighborhood’s current restaurant boom. Ozumo’s San Francisco location remains open. No word yet on who will take over the gigantic (8,000-square-foot) Uptown space. 2) Curry Corner (26657 Mission Blvd. ), a tiny and wholly wonderful Indo-Fijian takeout spot in Hayward, announced that it would close at the end of November. Here’s a lovely tribute by the Chronicle’s Jonathan Kauffman. When I spoke to owner Saras Rao last week, she told me she’ll still intermittently open for lunch a couple days a week, at least for the next month or so. Call ahead before making the trek out to Hayward, and remember to bring your own Tupperware. Moving forward, Rao will continue to offer her popular cooking classes — I included details in my recent food-themed gift guide. The tilapia plate at A Taste of Africa. 3) One more closing that breaks my heart: In Deep East Oakland, the brick-and-mortar location of A Taste of Africa has closed, and has been replaced by something called “Tasty Pleasures” — a breakfast-and-lunch spot. 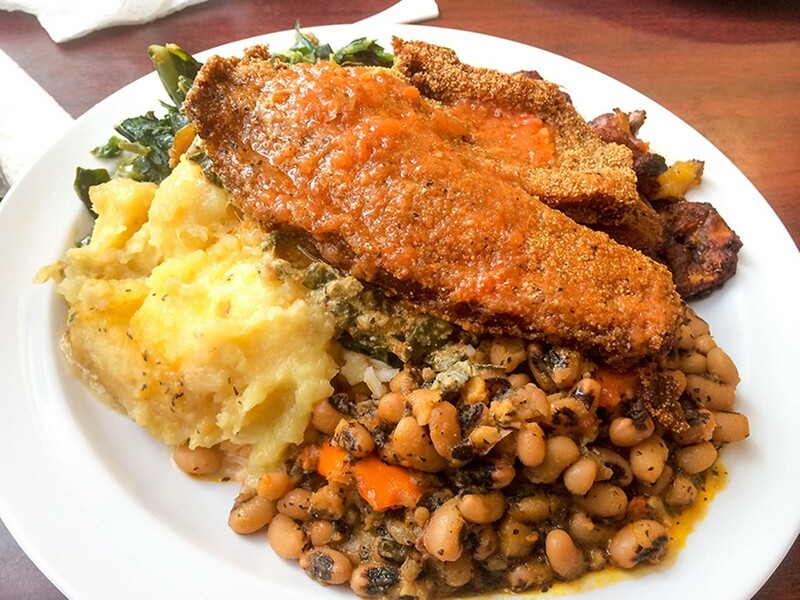 I’ve reached out to Taste of Africa chef Malong Pendar for confirmation, but it appears that he’s still selling his delicious Cameroonian food at Berkeley’s Ashby flea market on weekends. 4) The former Hibiscus/Mockingbird spot at 1745 San Pablo Avenue in Uptown Oakland has a new tenant: a new brick-and-mortar location of the popular food truck-turned-restaurant Curry Up Now. 5) The somewhat controversial pub that was slated to replace Barclay’s Pub in Rockridge has a name: The Golden Squirrel (5940 College Ave., Oakland). In fact, the pub quietly opened for lunch about a month ago. The food menu features, among other items, a $14 burger. Meanwhile, it appears that the owners of Barclay’s, which was displaced by The Golden Squirrel, are still searching for a new location. 6) Eater has details about Daughter Thai Kitchen (6118 Medau Pl., Oakland), the new Thai restaurant opening in the former Chowhaus space in Montclair. The restaurant will have a full bar, and the focus of the menu will be on the spicy flavors of Southern Thailand, with dishes like Panang Neua, a 48-hour-braised short rib with Panang curry. 7) Temescal’s Subrosa Coffee has announced a second location that is slated to open in early 2017 at 4008 Martin Luther King Jr. Way, in the Longfellow neighborhood in North Oakland. This is part of the shipping-container retail plaza that is under development at the corner of 40th and MLK. 8) Two bits of shameless self-promotion: First, my Express essay about my search for an elusive Chinese restaurant I found on Yelp got selected by the Best Food Writing 2016 anthology, which is now available — you can buy the book here, if you want, or from any number of local booksellers. Secondly, I’m doing an AMA-style live Q&A over at the food discussion forum Hungry Onion next Thursday, Dec. 8, at 8 p.m. I will be sad if I don’t get any questions, so feel free to head over there and submit one ahead of time. 9) Finally, ICYMI, Uptown Oakland’s Catered to You, which makes a great fish sandwich, is raising money to stay competitive in a changing neighborhood.